My two-year quest for a miracle moisturizer may finally be over. 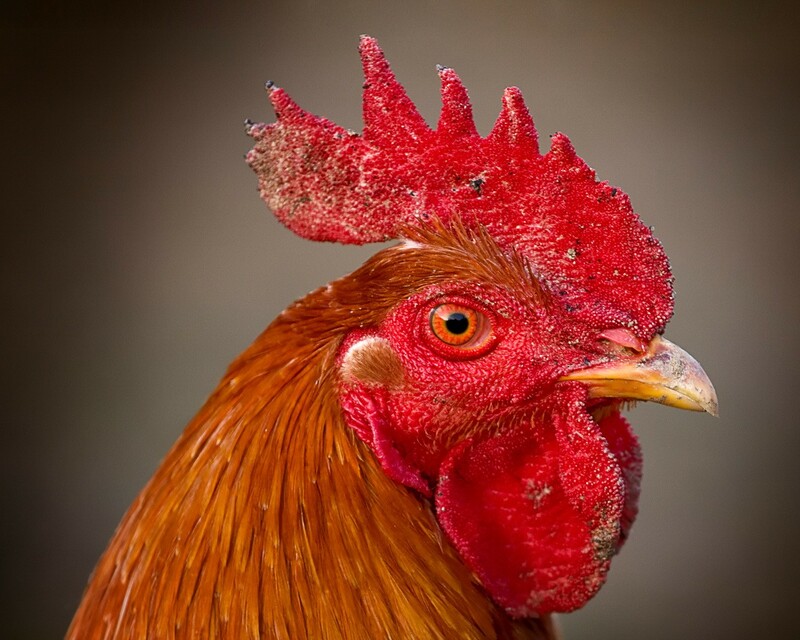 After countless dollars spent, and much trial and error, my new favorite ingredient is Hyalauronic Acid- Which surprisingly from rooster combs, did you know that? No, no, no…. Don’t worry. I’m not running around like a mad woman decapitating roosters (yet). 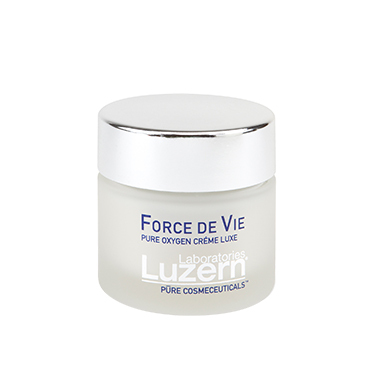 My hyalauronic acid is lab-created and a key ingredient is my new favorite product, Luzern Force De Vie Pure Oxygen Crème Intensive . Hyalauronic Acid is not a new thing. It occurs naturally in our skin, keeping it smooth and “plump” through its ability to hold up to 1,000 times its weight in water. Skin begins to lose its ability to retain moisture as we age- and when we begin to lose elasticity, the lines and wrinkles appear. 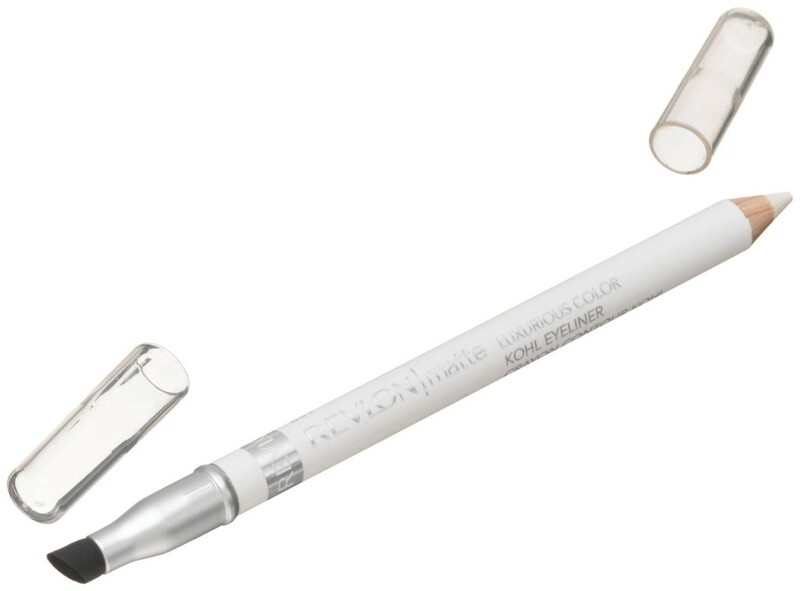 Hyalauronic puts back what is lost to bring back youthful looking skin. It’s also the main ingredient in fillers for lip injections, as well as used in supplements for joint disorders. I’ve only been using it for about a month, but Luzern has already become one of my “must-have” products. The skin around my eyes is finally looking hydrated and smooth, plus it has erased the huge “old lady wrinkle” down the center of my chest from being a side-sleeper. Ever have one of those morning when you just feel drab? How about a little makeup tutorial? In the land of makeup, sometimes “oldies-but-goodies” are the best kept not-so-secrets. I’m a huge fan of using makeup for brightness. These are the two great products I pull out when my face needs a little sunshine. This little highlighter has been around for over 20 years. Some people confuse it for a concealer, but it’s so much better than that. Remember, it’s a highlighter. When added to any darkness on your face you instantly create a lighter illusion, which is very good thing. I use the #1.5 in the winter/spring and #2 in the summer/fall. Click, click… Dab, dab… Blend, blend… Done. 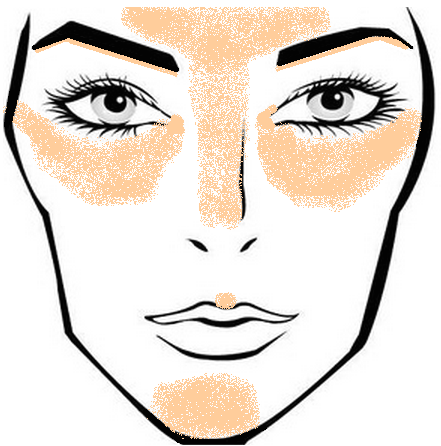 Beware: a little goes a long way, and blending is key! I think I heard about this trick when I was in middle school, and I still swear by it. But it can either be your best secret or your biggest giveaway depending on how you use it. Sharpen. Then line your water line with one very light, very quick swipe. 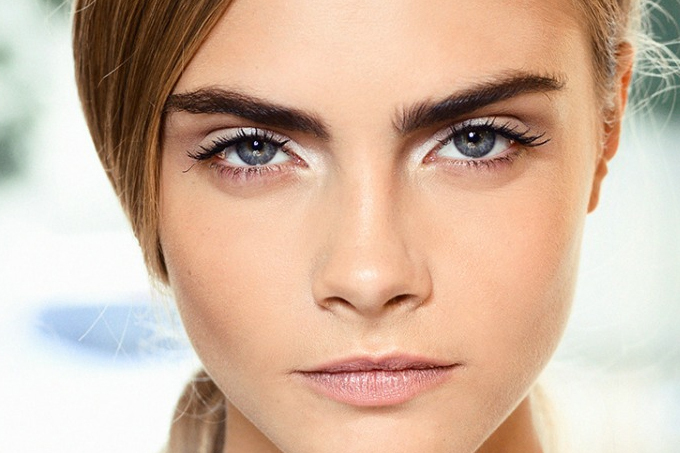 add a few smudges in the interior corner of the eye and blend it until it is very subtle. 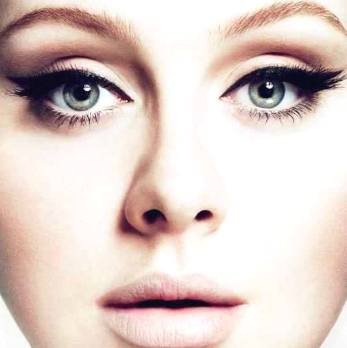 Too much will be obvious and your lower lashes will look like they have dandruff. 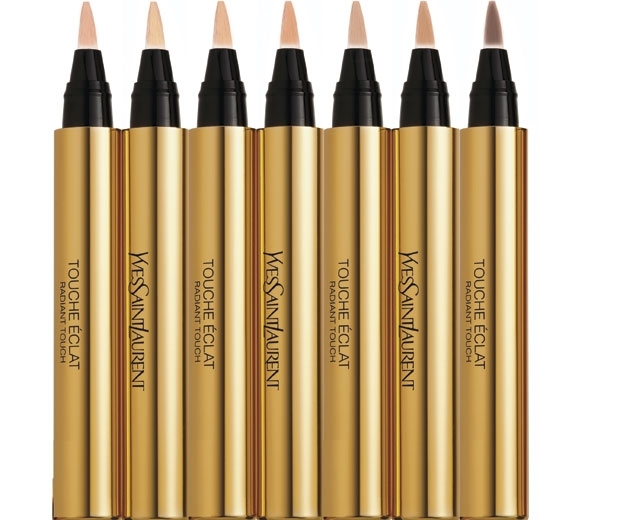 One swipe won’t make you white, it’s just enough to neutralize little pink bunny eyes and make you look instantly brighter . I’m a big believer in not shampooing hair very often. Don’t get me wrong- shampooing is important, but just not every day. Each time you lather up you strip hair of its natural oils, your hair color fades, and the overall condition of your hair starts to tank. But no one wants to walk around like a little grease-ball between shampooing. That’s why I’m perpetually singing the praises of Hair Powder and Dry Shampoo. It’s the only way to freshen up day-old-hair and get instant volume with very little effort. I started using them about 10 years ago. For years Pssssst was my favorite, not only for absorbing oil at the scalp, but also acting as a lightweight volumizing hair powder. It was the only dry shampoo you could find at the drugstore- way on the bottom shelf next to the that awful big yellow tub of hair cholesterol. Remember that stuff? 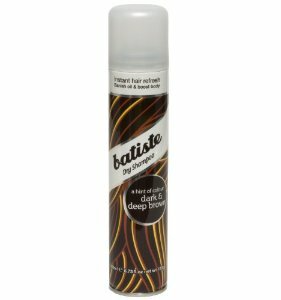 Then I was introduced to Batiste– the UK equivalent to Psssssst- only so much better. At the time it wasn’t accessible in the US, so whenever my dear roommate would travel abroad (which was often) I would beg her to go to Boots and bring me back some. She always kept me well stocked. Plus they make a brown hair powder, it’s tinted darker so it does’t look like I fell into a vat of flour head first. But then I moved, and I found myself running out of my stash. And like clockwork I stumbled upon it at Marshalls, for $6/can. Batiste! Four glorious cans of it. It looks like it’s finally making it’s way to the US. stumble into the bathroom with a crazy mess of bed-head. part hair down the middle, shake can really (really) well, and spray roots with a quick spritz of powder. repeat parting, shaking, and spraying at the root all the way around your head. massage powder into your scalp. begin styling your freshened up hair as usual… but with more volume! See, it’s as easy as that. 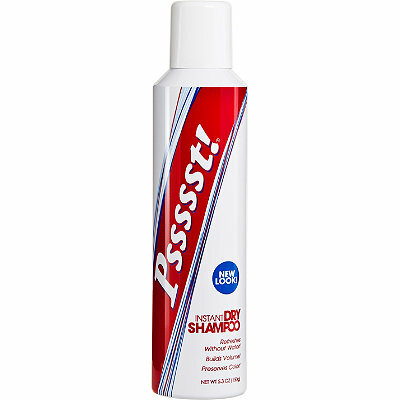 The less you shampoo your hair the healthier it becomes- so go ahead and skip a day or two and get yourself some powder.